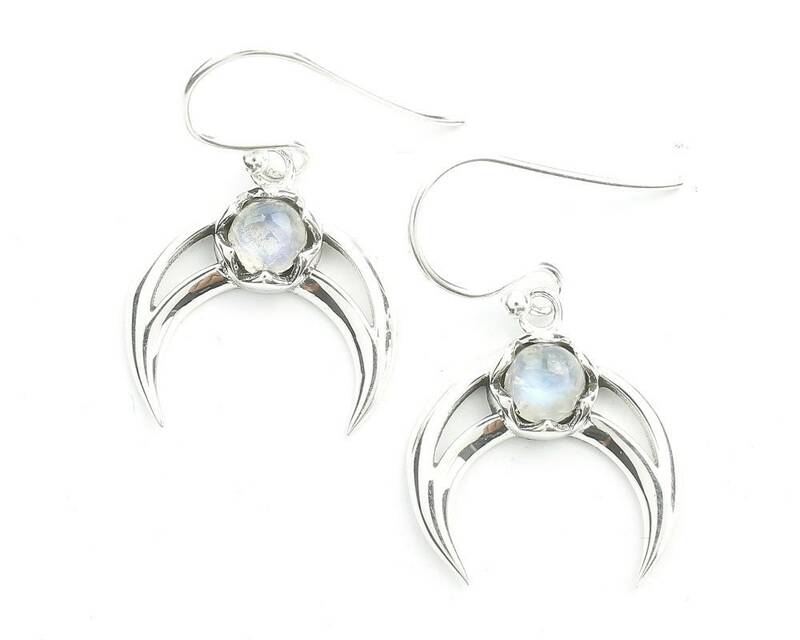 Simple sterling silver crescent moon earrings with moonstone accent stone. The earrings are gorgeous! A little smaller than I expected but they're dainty and lovely! I adore my earrings! Won't be my last time at this shop that's for sure! :) beautiful jewelry at very good prices.